The earth seemed to tremble at the mighty shout of the Israelites as the priests carried the ark of the covenant into their war camp. Now the battle could begin. Their guarantee for victory had just arrived! The people cheered and celebrated. It would be just like in the days of Moses and Joshua: The ark would go before them, and no enemy, however strong had even the slightest chance of defeating the armies of Israel. With great confidence the Israelites marched out to meet the Philistines, who were shaking in their boots, expecting to be wiped out by the God of Israel. But to everyone’s amazement and horror, God was not with His people. The two priests Hophni and Phinehas, along with 30,000 soldiers, were slaughtered on the battlefield. And the enemy captured the ark of God. What about us? How do we know if God is still with us like He was 10 years or two months ago? This account from 1 Samuel 4, as well as many others, is given to us for our instruction. It is designed to clearly teach us that past experiences with God, including miracles and answers to prayer, are never proof that God is with us and sustains us today. Each and every day, our walk with the Lord and our commitment to Him must be fresh and new. It is of utmost importance that the people who are called to fulfill God’s plan and purpose remain close to Him and do not blindly rely on the past. You see, God has more than just one way of dealing with mankind. In every generation He does new things. He creates new wine, which requires new wineskins. The problem with us is that we want the new wine, but we also want to maintain the old wineskins from our past. It must be our highest priority, however, to continually maintain the freshness of our walk with Him. Over and over we read throughout the Bible and Church history how God commits Himself to an individual or a group of people. But then, somewhere along the way, His presence is no longer with them. The sign on their front door now reads “Ichabod”—the glory has departed. They may still be running all their “good,” religious programs, along with preaching, shouting and doing every kind of thing imaginable. But basically all they are doing is clinging to shadows, while He is no longer there. It is tragic, and we feel deeply hurt, when “Ichabod,” this severe judgment of God, is pronounced over a fellowship to which we belong or a Christian organization that we value. However, rather than joining them in clinging to shadows, we still have the option of moving on. But when God begins to write this word over the door of our own hearts, “Ichabod” becomes extremely personal. Once there was genuine love and reality in our worship, giving and service to the Lord, but over time it all turned into a well-rehearsed religious performance. Others around us might not realize what has happened to us because we continue to do all the things we did before. But when God looks at our hearts, He sees an empty shell: The freshness of our walk with Him has disappeared. What is the cause of this shift in our spiritual life? It’s the same as it was for those Israelites in the Old Testament: self-centeredness. The God who delivered them from slavery and whom they were commanded to love supremely over all else had now become in their minds a genie to fulfill their wish for a comfortable and successful life. We fall into the same trap when we forget that we were made for Him alone. Belonging to Him means that we must lay aside all our own plans, wishes and ambitions and out of love and with joy seek to fulfill His will instead. This keeps us coming to Him every day, asking afresh what we can do to please Him, and showing Him that He is our greatest treasure and all we desire in our lives. 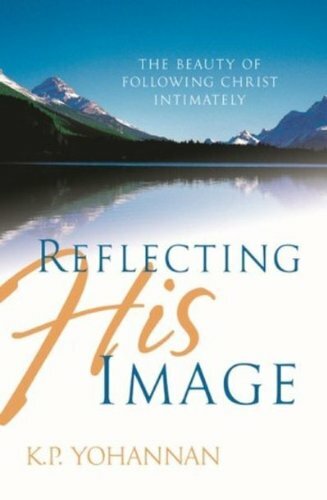 Withdrawing His glory from our lives is never God’s first reaction, but rather it is His last resort if we don’t respond to His correction and His call to an intimate daily relationship. But how is it possible for us to regain or to maintain this fresh walk with the Lord, if those who saw God part the Red Sea lost it and died in the wilderness? I believe the answer starts with a conscious decision to daily “humble yourselves in the sight of the Lord” (James 4:10) and to begin or continue to “seek those things which are above, where Christ is, sitting at the right hand of God” (Colossians 3:1). And this is possible only if we are willing to repent or forsake all that caused our heart to wander away from the Lord: materialism, seeking comfort or ease, seeking others’ approval and praise, spiritual pride, lack of concern for the suffering or poor, seeking honor from others, pretense . . . and all things that the Holy Spirit will remind us of as we honestly seek God. Daily seek God’s approval in all areas of your life. If we practice this, restoration will take place, and His presence will remain with us. The question is: Will you act on it now, or are you going to put it off until later? Are you clinging to shadows? This entry was posted in 5 Minutes with K.P. and tagged 5 minutes with K.P., Dr. KP Yohannan, gfa, Gospel for Asia, K.P. Yohannan, KP Yohannan on June 27, 2011 by gfaseo. This entry was posted in 5 Minutes with K.P. and tagged Dr. KP Yohannan, gfa, Gospel for Asia, KP Yohannan on June 20, 2011 by gfaseo. 5 Minutes with K.P. – Where is the Master Plan? 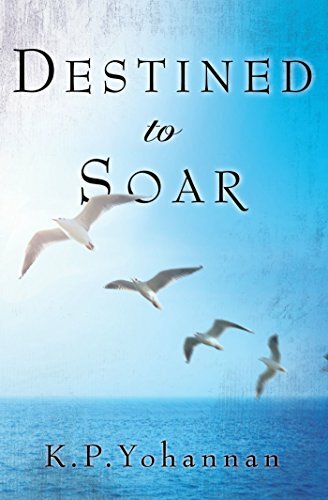 Destined to Soar © 2009 by KP Yohannan, the president and founder of Gospel for Asia. It was written with the intention of encouraging and edifying the Body of Christ. To learn more about Gospel for Asia or to receive additional free resources, visit Gospel for Asia’s website. This entry was posted in 5 Minutes with K.P. and tagged 5 minutes with K.P., Dr. KP Yohannan, gfa, Gospel for Asia, K.P. Yohannan, KP Yohannan on June 13, 2011 by gfaseo. This entry was posted in 5 Minutes with K.P. and tagged 5 minutes with K.P., Dr. KP Yohannan, gfa, Gospel for Asia, K.P. Yohannan, KP Yohannan on June 6, 2011 by gfaseo.